But we occasionally find ourselves in places where it's difficult to see the right answer; where there is seemingly more than one acceptable course of action to take. If we take the right course, things go well and God is glorified. Choose the wrong one, and we find ourselves in trouble. We call those moments, "Sticky Situations". It is not always clear. If you have been a Christian for a while, you have probably prayed and asked God for direction in which way to go. Even if you're not a Christian, you have probably wondered if God (or someone) had some kind of grand plan for your life. Also, if you have been a Christian for a while, you have probably been in a situation when God’s will was very clear and that was the problem, you knew what to do and did not want to do it. But there is a third category where you knew for sure what God wanted you to do; all circumstances and signs pointed towards this is the right direction - and everything went wrong. So, how can you avoid this in the future? 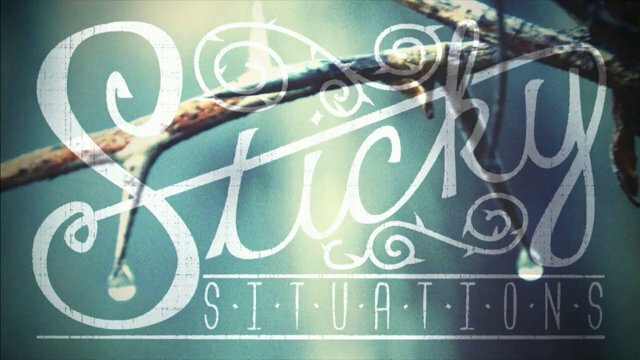 This weekend we are going to look a story from the life of David where he is put in a very “Sticky Situation”. In it he is placed in what seems like a very obvious position. What he should do seems so clear... But he looked beyond the circumstances and made a good decision. And in this story, we will learn a valuable lesson about decision making. It's great to be back from vacation and teaching at Next Level. I can't wait to see you there!